Thank you for visiting our site. My name is Tanis Jackson and I am the owner of Tanis J Events. I love everything about being a Charleston Wedding Planner. I planned my own Charleston destination wedding from another country and understand the stress that comes with planning the biggest day of your life with vendors you’ve never even met before! One of my favorite parts of planning is taking your vision (likely all planned out on Pinterest) and turning into a reality. I love working with couples to create a unique and personalized ceremony and reception. I also enjoy incorporating multicultural and “alternative” ideas such as mixing and matching tables and centerpieces to create truly memorable weddings. Naked cakes! I know that a lot of bakers don’t like them but I am not a big fan of icing so I think they are fabulous. I also really like dessert buffets, probably because of my icing issues and I love watching when guests come up and see that they have options. Okay that’s all about food. I like mixing and matching, a lot. When you mix tables, linens or desserts you instantly create a more interesting room. I am pleased that metallics are very popular right now as I think every wedding should have some shine to it. 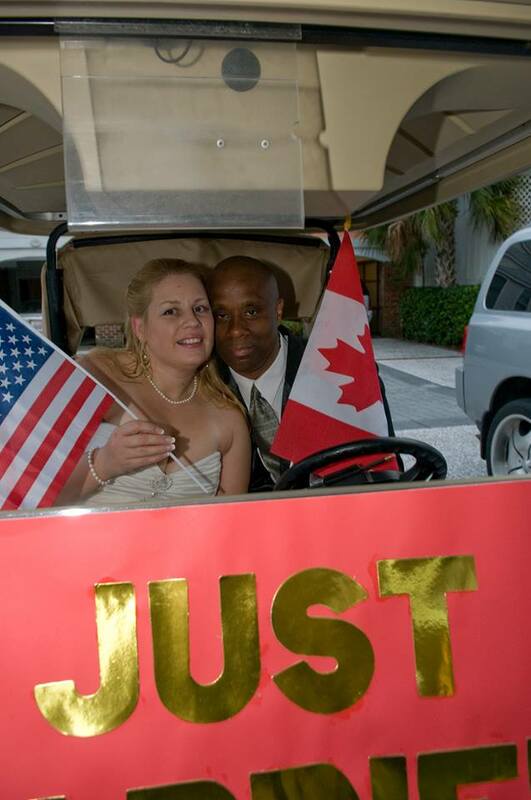 My name is Chauncey Jackson and little did I know that my role as an “active groom” helping pick out songs, attending the food tasting and going on venue site visits was going to lead to a professional role in my wife’s business. I am a behind the scenes kind of guy, providing IT services during the week and onsite setup assistance on wedding days. With my military background and my tall stature, I have on occasion been mistaken as the security guard and my wife, Tanis, tells me I am the best “walking screen” for brides in all of Charleston. Contact us today if you are looking for a Charleston Wedding Planner and/or Charleston Draping Designer.